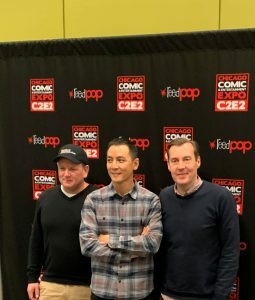 Into the Badlands gave C2E2 a sneak preview of “Chamber of the Scorpion,” which was followed by a panel with executive producers Al Gough, Miles Millar and Daniel Wu (Sunny). For those who are new to Into the Badlands, I believe that Into the Badlands is the greatest martial arts series on television. It is what Iron Fist should have been. This episode was definitely a crowd pleaser, as the audience broke out in spontaneous applause during some of the truly awesome and, at times, graphic fight scenes. 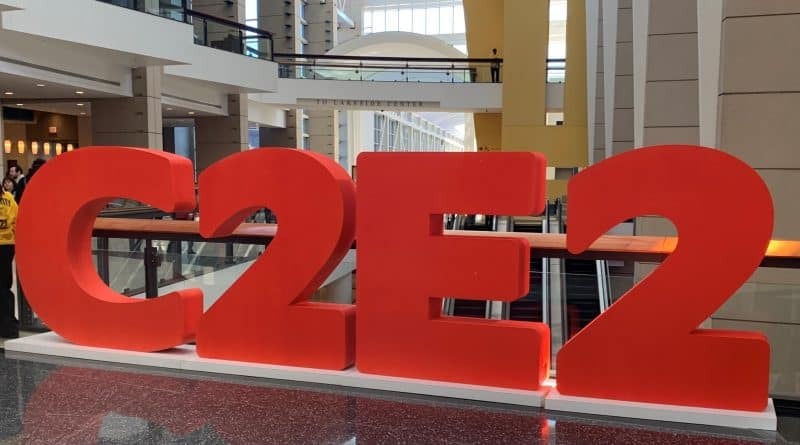 The executive producers wanted to thank the fans in general for their support of the series and they wanted to thank the fans attending C2E2 by showing this episode They also thanked AMC for airing the series and for AMC’s support of the series. The EPs discussed the new friendships that they have made during the filming of the show as well as some of the hardships they endured during production (stunt injuries for example). 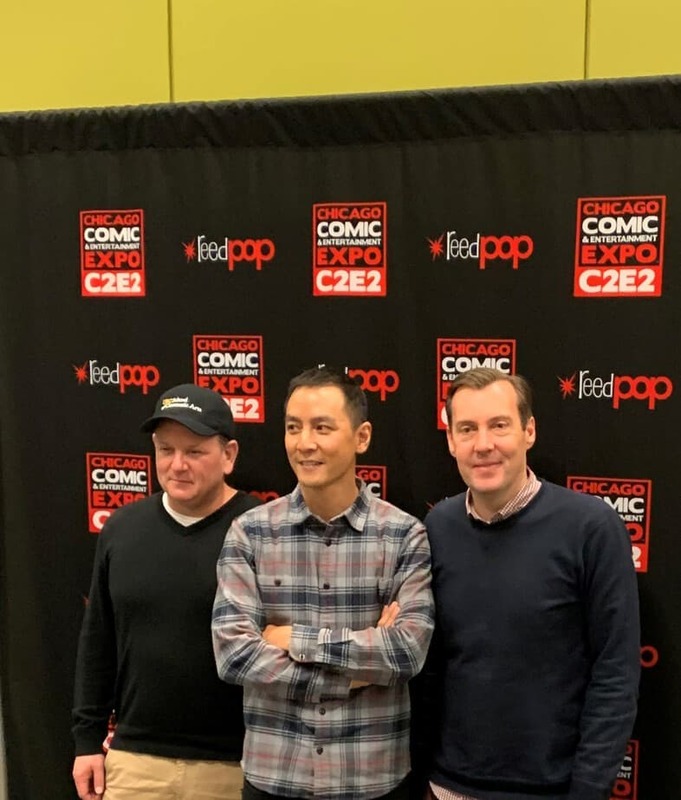 As an example of their commitment, the producers brought in some of the greatest martial arts coordinators from China to help with the stunt/fighting martial arts coordination. Before filming, each of the stars went through an intensive training camp to help them prepare for their own stunt work. Their warm-up exercises lasted more two hours before they even started to train! This helped to reduce more serious injuries. 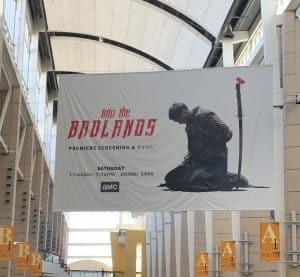 In the press Q&A after the panel, all of the executive producers expressed considerable disappointment with the Television Academy (the organization behind the Emmy Awards) for the series being overlooked by Academy voters in the Stunt Coordination category. They feel that the incredible work done by the stunt team merits recognition. 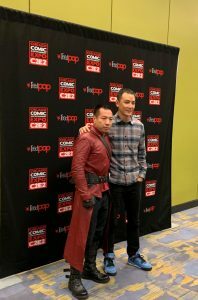 Daniel Wu has been a vocal critic of the process on Twitter. The other EPs echoed his concerns. As a true fan of martial arts films and television series, I feel that they raised good points. The martial arts work on Into the Badlands achieved a new standard, not only on television but perhaps in filmmaking as well. The entire team put a great deal of effort and skill into making this series the best they could achieve. In my opinion, it has combined extraordinary martial arts fighting with a very compelling story. Be sure to tune in for the final episodes of Into Badlands, with the premiere of the second half of Season 3 on March 24th, with additional new episodes continuing each Monday, starting March 25. It has set an extraordinary new standard for martial arts on television.